Craving Fresh: First ever Frugal Fun! When I first started this blog, I coined the term Frugal Culture because I wanted to be good with money and learn how to stretch ours further. Reading The Prudent Homemaker this weekend as I lay sick in bed, I realised I have a long, long way to go. It's never too late to start being frugal though, so I've decided to add a new semi-regular feature to Craving Fresh called Frugal Fun! 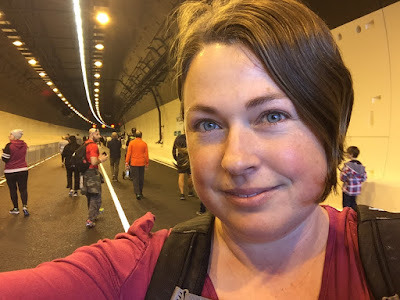 This is where I'll share all the things I did in the past week to be frugal, and where you can share in the comments below or on Craving Fresh's Facebook page all the frugal things you've done lately. If you want to post a frugal picture on Instagram, use the hashtag #frugalfun and I'll check it out. 1. 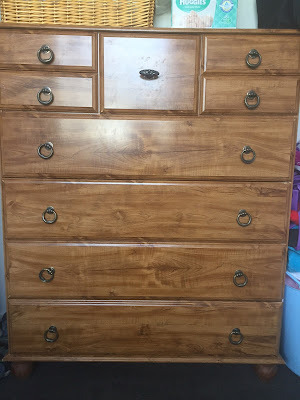 I bought and attached a drawer handle for a free chest of drawers we picked up for James that was missing a handle. I couldn't find a handle to match the existing ones, so I chose one that matched the colour and style of the others (rather than replace them all). (I've previously replaced several broken drawer runners in the same chest of drawers, but all up I haven't spent more than $10 repairing it). 2. I fixed one of S's drawers that was coming apart. I used PVA glue I already had and so far it's holding up. 3. I mended a skirt and a dress of S's that were both coming apart at the waistband. 4. I made garden fertiliser out of chicken bones and vege scraps leftover from making chicken stock. I'll definitely do this again, but I'll probably water it down quite a bit before applying it next time. 5. 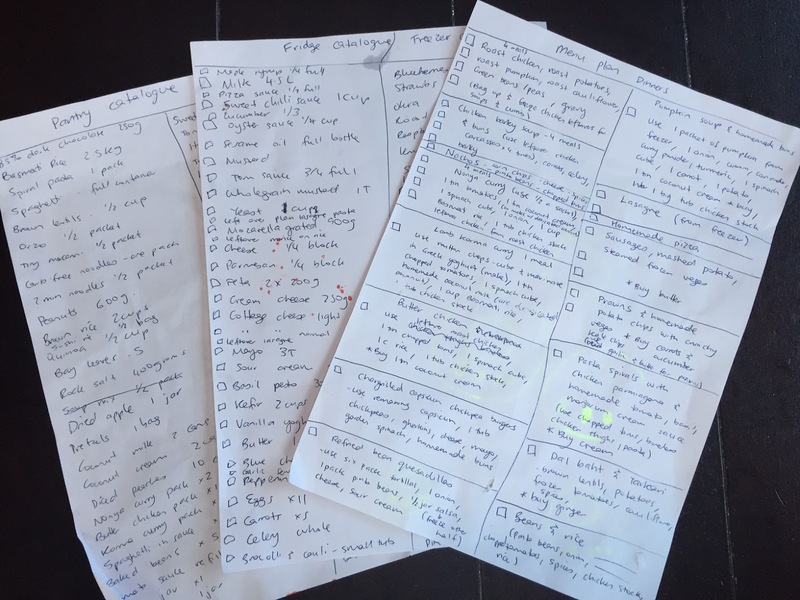 I did a kitchen stocktake and wrote a month-long dinner menu plan based on food we already have in the house. Kitchen stocktake and menu plan. 6. 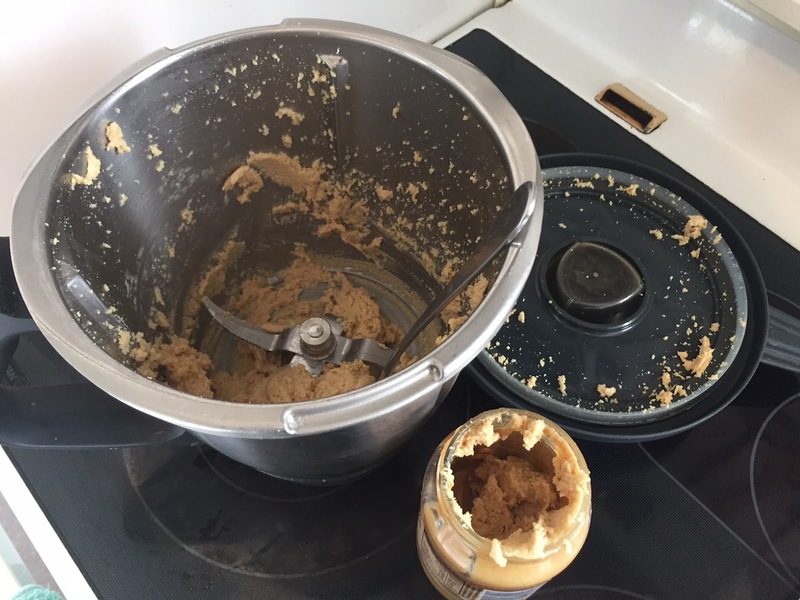 I made peanut butter out of a bag of roasted peanuts I'd bought on special. 7. 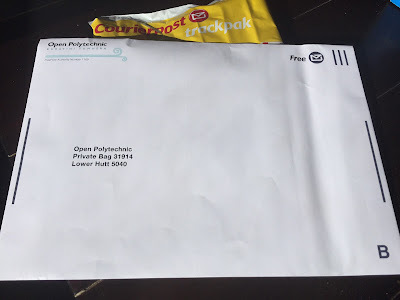 I finished and posted an assignment for the Certificate of Horticulture that I'm studying for free through the Open Polytechnic. 8. 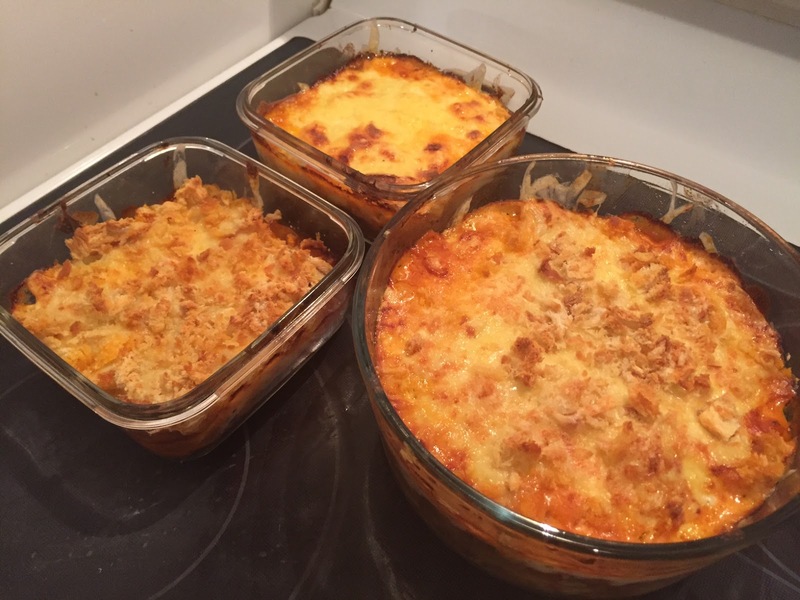 I made extra lasagnes to freeze for future meals when I was making lasagne for dinner. Make once, eat many times is a good motto. It saves time and energy. 10. 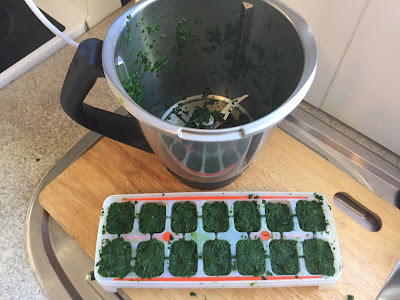 I blanched a bunch of spinach from the garden and froze it in ice cube trays for future meals. 11. To save petrol, I did my grocery shopping on the way back from J's swimming lesson, as the supermarket was on the route home. 12. I accepted two free tickets to walk the Waterview Tunnel, and took my daughter, S, to walk it with me. 13. 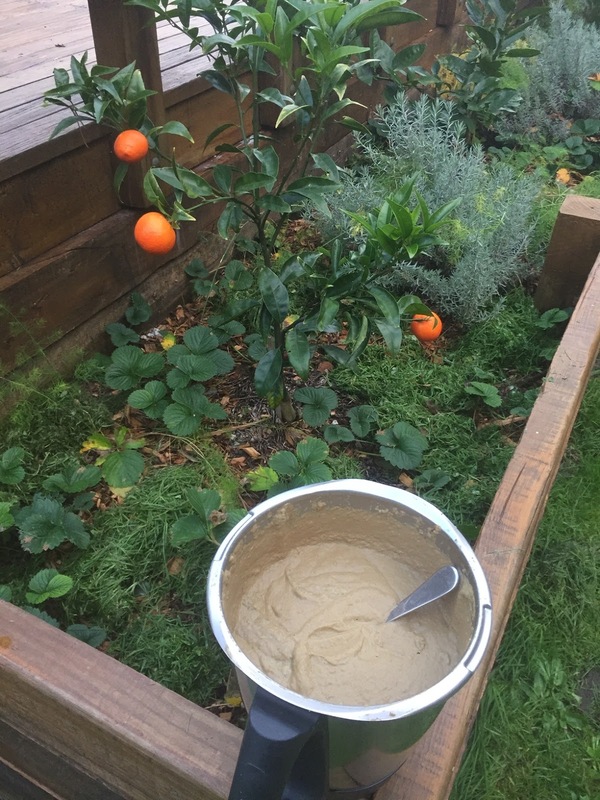 I picked free persimmons and accepted free apples from J's Kindy, to help stretch our fruit until next grocery day. 14. I sanded and revarnished the top of our coffee table, which was all banged up from kids' crafting. I used an oil stain we already had on hand from when I made our dining table. Labels: Frugal culture, Frugal Fun! I made exit mould by adding bleach to water! It's just as effective and much cheaper! I got Joshua's leather shoes resoled rather than throwing away and buying new. Ah, it would be my dream to be a Proverbs 31 woman. Maybe one day! It's good to aspire to at least. You're awesome. Where did you get the shoes done? Did they do a good job? HI! Just wanted to say I have been reading your blog and enjoying it - thanks for the inspiration - I can definitely afford to up my frugal game too! Thanks heaps. That's really encouraging to hear. Maybe we can inspire each other to be more frugal! A friend and I were talking years ago about what she could use to make fertilizer without spending any extra money. I use bone meal in my garden and I have also used blood meal in the past. I watched a gardener use blood from butchering chickens in his garden once, and I realized that would just be the fresh equivalent. I never thought to try making my own bone meal! I am off to check out your recipe! Good luck with it! 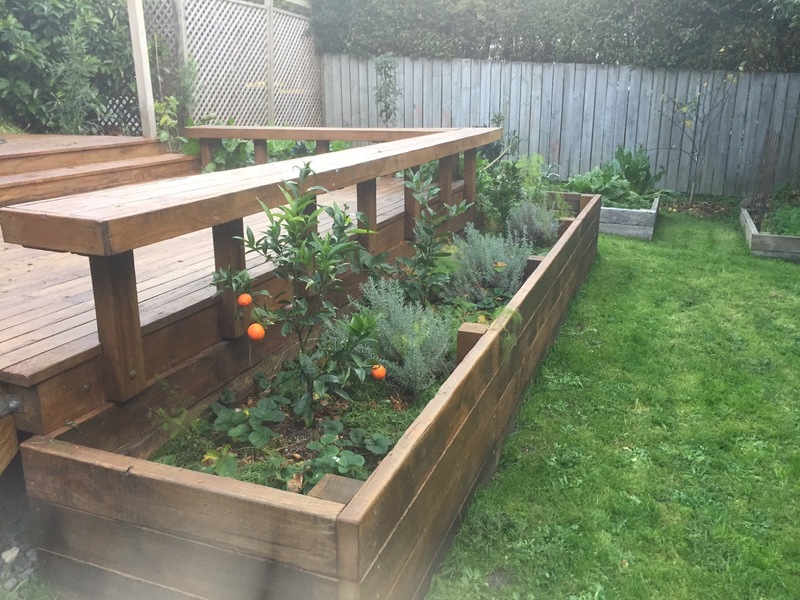 Other people have commented that they just bury their bones deep in the garden and let nature take its course, so that's a good easy option too. Wow 14 things, that's a good effort! I can't even think of one right now... I'll have to remember for your next post! I bet you've done loads, but it comes so naturally to you that you don't even think of it.